The HSBC Water Programme – Catch the Drop Campaign tomorrow will be commemorating the completion of the Wignacourt Aqueduct in the early 17th century. 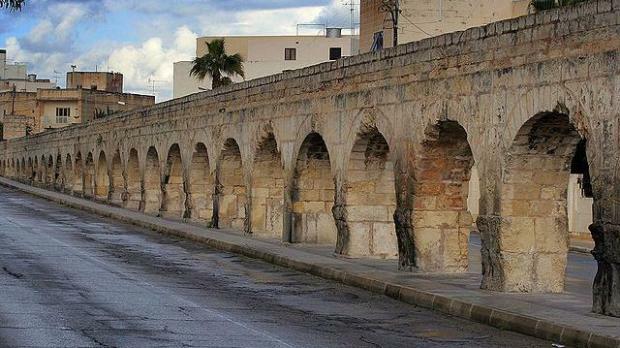 The aquaduct ran some 12 kilometres from Rabat to Valletta, supplying water to the then new capital city. This project was planned and largely financed by the Grand Master of the Order of St John, Alof De Wignacourt and was operated between April of 1615 until the early years of the 20th century. Tomorrow's event shall start at 9.30am at City Gate, with the participation of hundreds of school children. These will symbolically carry water in jugs to represent the channelling of water from Rabat to Valletta. Once in St George Square, the children will be able to assist to a ceremonial inauguration of the Wignacourt Aqueduct. Some 30 re-enactors each partaking in a particular role will be evoking an historic episode that took place 400 years ago in the same square. The colourful spectacle shall contain, military pageantry, folk dancing, as well as a narration of the story.